Marta Nelson, one of Ojai’s most beloved artists, passed away peacefully at age 96. Marta was a painter, a printmaker and a sculptor in papier mâché. She was a traditionalist who knew when to bend the rules, an optimist who felt compelled to paint something beautiful, a citizen of the world who strongly believed that artists have a mission: to use the arts as a vehicle for peace. Marta reveled in the camaraderie of other artists. She dedicated her life to community, establishing art programs that continue to this day. 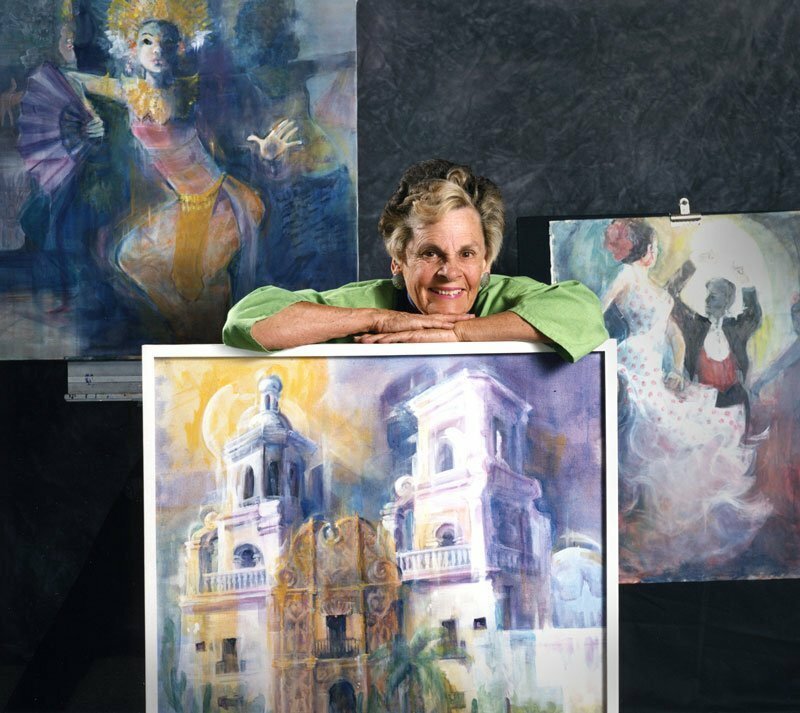 Among her legacy, is the cofounding of the prestigious Ojai Studio Artist (OSA) Tour along with fellow artists Gayel Childress and Bert Collins. Established in 1984, OSA is a highly respected group of artists that open their studios annually the second weekend in October, with mini tours throughout the year. Marta became an active member of the Art Center as soon as she moved to town, establishing the figure drawing class in 1982 that continues to this day. Prior to co-founding OSA, Gayel along with the help of Marta and Bert, resurrected the Fine Art Branch at the Ojai Art Center. The art center is the longest continuously-operating, multi-disciplinary center serving the arts in the State of California. The building, originally conceived by Dr. Charles Butler in 1936, was designed by renowned architect Austen Pierpont at a cost of $17,000. The building was dedicated in 1939. By the early 1980s the center was in desperate need of repair. Marta, Gayel, and Bert decided to organize a garden tour, modeled after garden tours they had previously attended, to raise funds needed to repair the Art Center’s walls and floors. Established in 1984, the first tour included 24 participants and sold over 850 tickets. The following tour, 2,500 tickets were sold. They raised enough money to make the needed repairs with the help of each of their husbands who rolled up their sleeves and donated the physical labor. Hank, Marta’s husband, was especially helpful. Over the years, he shared his expertise as an architect and carpenter, augmenting various aspects of the building including the cabinets and display cases. Not only did the tour continue to raise funds for building improvements for years, the event would help support and lift the profile of Ojai’s rich visual arts community – a cultural and economic legacy that continues to this day. Proceeds raised by the annual OSA tour continue to support the community including scholarships for art students of all ages. In Marta’s early days, she worked in the animation department for Screen Gems Colombia Pictures painting backgrounds and mixing color for the animators. She recalled, “At that time, women were not allowed to do any of the actual animation. We stayed downstairs and all of the animators were upstairs.” Working in the animation studio laid the foundation for her own approach to color as her studio practice evolved. While in Bakersfield, Marta taught art classes at Bakersfield Community College and Spanish to elementary school students. Her love for teaching continued throughout her life with her most recent students among her fellow residents at The Gables of Ojai retirement community. As a college student, Marta majored in Spanish, an experience that opened her eyes to the beauty of culture throughout the world. She became a folk dancer in the 1950s – Spanish dancing being among her favorite – and traveled to festivals throughout the state. She took up belly dancing at age 40 to address her arthritis. Her love for travel and cultural experiences became an inspiration for many paintings and prints. She described herself as a perennial student, always experimenting and eager to learn something new. 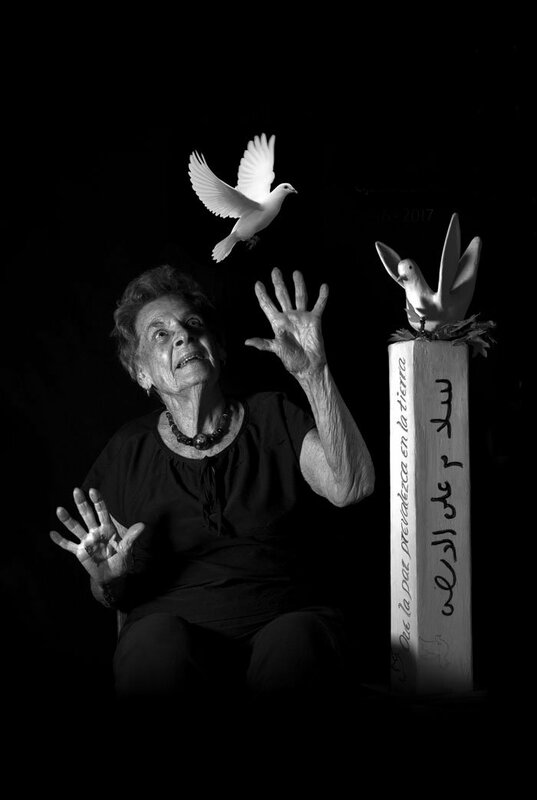 Above all else, Marta was a devoted advocate for peace. In 2004, in preparation for the annual OSA tour, Marta completed a painting and intuitively included a dove. The date was September 21, the International Day of Peace. She continued to add a dove to all her work since that date, later adding the acronym AFP (Artist for Peace). She engaged the community and rallied support to organized major exhibitions, workshops and lectures to promote peace. Marta felt her advocacy was her most important work. Her legacy will be felt for generations to come. Marta received numerous honors for her devotion to community. She was named a 1997/98 Ojai Living Treasure; received the City of Ojai Lifetime Achievement in the Arts award in 2004; and in 2007, the Ojai Peace Coalition Noble Peace Prize. Marta’s work hangs in public and private collections across the United States and from Mexico to Japan. Marta was preceded in death by her husband Hank. Services are pending.